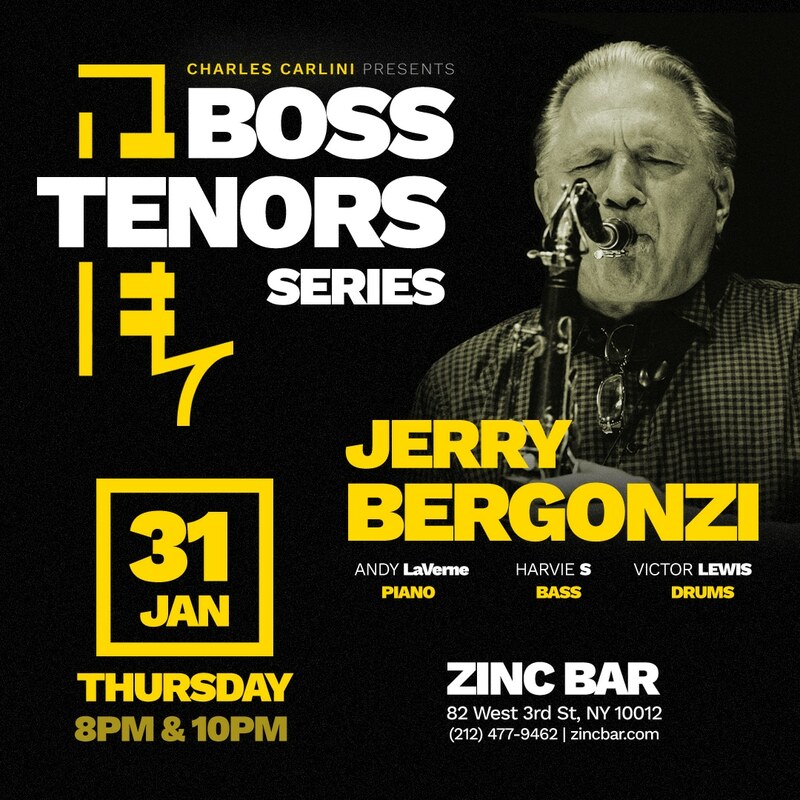 Catch Tenor Titan Jerry Bergonzi at Zinc this Thursday, Jan 31. Book your tickets today! Showtimes are at 8:00 pm & 10:00 pm. Tickets: $25 advance / $30 day of show. For more info call (212) 477-9462 or visit https://zincjazz.com.